Whether you’re a local looking for a weekend getaway or you’re simply travelling through Thailand, aren’t you looking for an experience that is completely different to anything you’ve done or heard about before? Don’t get us wrong, we love 7-star hotels as much as the next person but there’s definitely something to be said about boutique hotels and the different flavour of experiences they provide. And, with Airbnb recently signing a partnership with the Thailand Boutique Accommodation Trade Association (TBAA) to promote creative, people-powered Thai hospitality, we’ve noticed a lot more interesting boutique Thai properties rise to the Airbnb stage. Usually independent properties that are owner-run, boutique properties are able to showcase a uniqueness and creativity to their guests in ways big hotel chains can’t. Additionally, their properties are usually situated in less popular and more under-the-radar locations that are bound to give guests a certain je ne sais pas kind of experience that probably hasn’t even been written about yet. So, for the sake of exploring Thailand in a new and creative way, and getting out of Bangkok, we bring you 4 under-the-radar destinations – with suggested Airbnb boutique accommodation – we think you should consider for your next getaway. Enjoy! 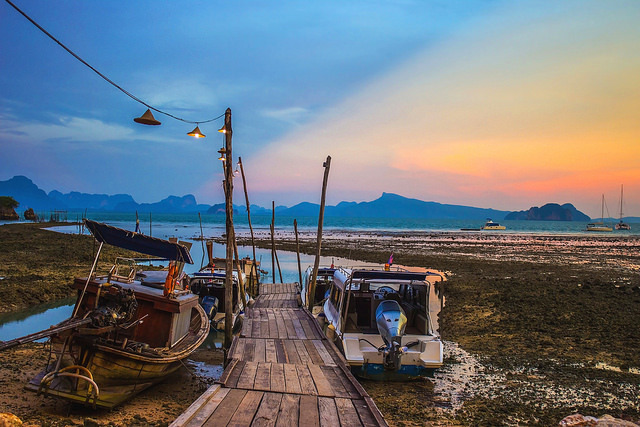 This is probably the furthest from Bangkok out of all of them, but Koh Yao Noi (Thai for small long island) is a beautiful secluded island between Phuket and Krabi that is often described as one of the last islands in the region to develop. The island really should have made it onto our Thai islands locals keep to themselves list, but we saved it for this article instead. Full of diverse landscapes – think green paddy fields, coconut trees mountains an array of wildlife – and practically void of tourists – because of its 90% muslim population that is doing everything possible to stop the island from turning into another party island. Koh Yao Noi is probably the last real secluded island getaway you’ll find in Thailand which we somehow still can’t quite believe, after all, this was the very island thatw as featured in the James Bond movie The Man With the Golden Gun. You could be on the beach on the east coast of the island and not see another person for hours on end, it’s that secluded. Another good thing is if you truly want to disconnect, you can as there are genuinely many WiFi-free spots on the island. Despite their opposition to partying, the locals are genuine and very friendly. Round off your Koh Yao Noi experience by staying at this luxury 2 bedroom hilltop pool villa we found on Airbnb. You’ll thank us when you go! Lovers of Chiang Mai are usually lovers of art too as the city boasts some of the most vibrant of scenes when it comes to creativity. Nimman of course remains popular, but there is definitely more to Chiang Mai and its creative art scene than the one street and its subsidiaries located in the trendiest part of Chiang Mai. After all, can a city’s artistic reputation really be reduced to one road? 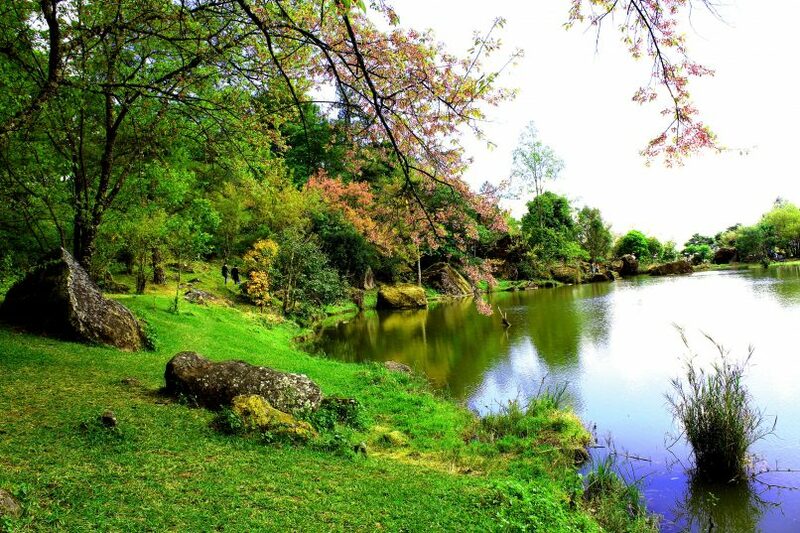 Enter Saraphi, now a growing local attraction with ample things to do and see. Home to fruit orchards, handmade items, gorgeous woven baskets, bamboo products and other ornaments to beautify your room, this is a paradise if you’re in the business of collecting, or if you’re looking to re-decorate your home. 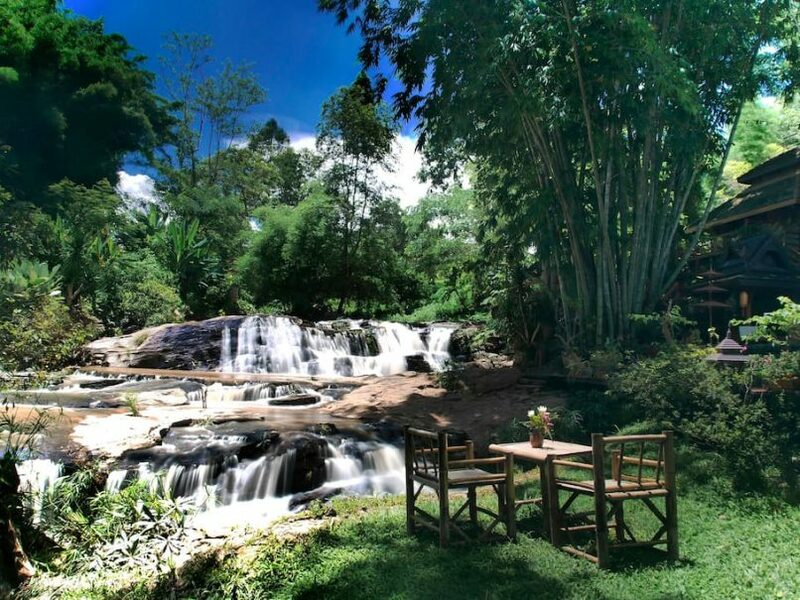 We recommend a stay somewhere completely different to round off your unique experience, maybe a little further into nature; if you’re in Chiang Mai, you may as well! Airbnb’s Sukantara Cascade & Spa, a luxury retreat surrounded by nature and built in accordance with the local Lanna architecture of Chiang Mai is our top recommendation. Settle into spa treatments after long day exploring or simply enjoy the unique vistas of mother nature and the sound of the cascades of water. Tambon Suan Pheung, in Ratchaburi, just under two hours from Bangkok, is a one-off destination with many historical monuments and temples, adventurous activities, natural attractions, entertainment and an abundance in choice of places to eat and drink. Relatively close to the sea, what’s more enticing is the amount of untouched greenery and mountains the province boasts. Plus point: so you can have the best of both worlds, mountains and ocean, depending on your mood. 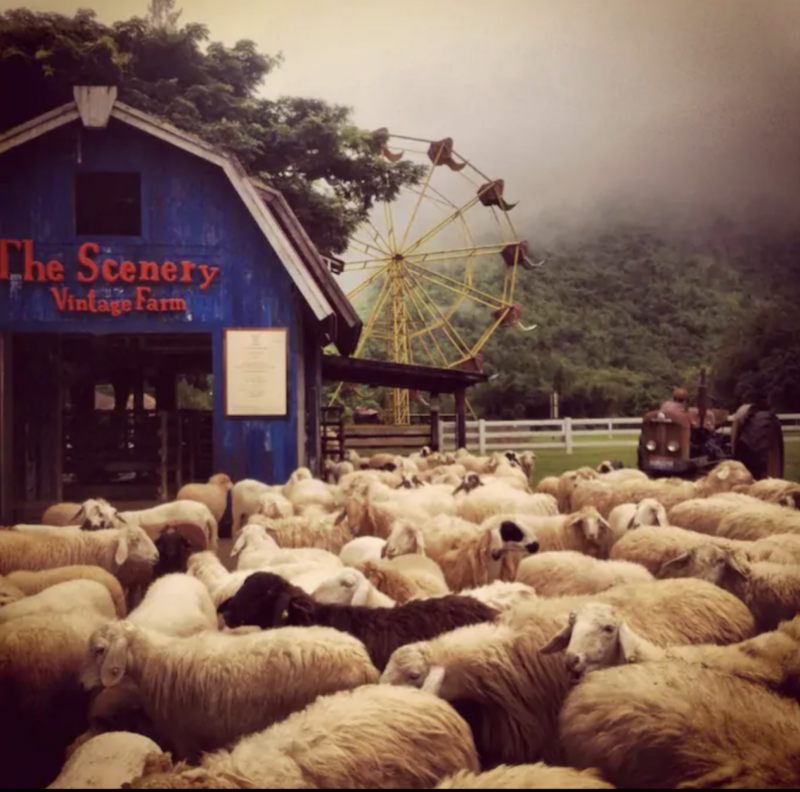 Yet, a stay at this scenic vintage farm on Airbnb will have your whole stay sorted as there will be plenty of things to do that will fill your insta feed with one-of-a-kind and unique photographic treasures. 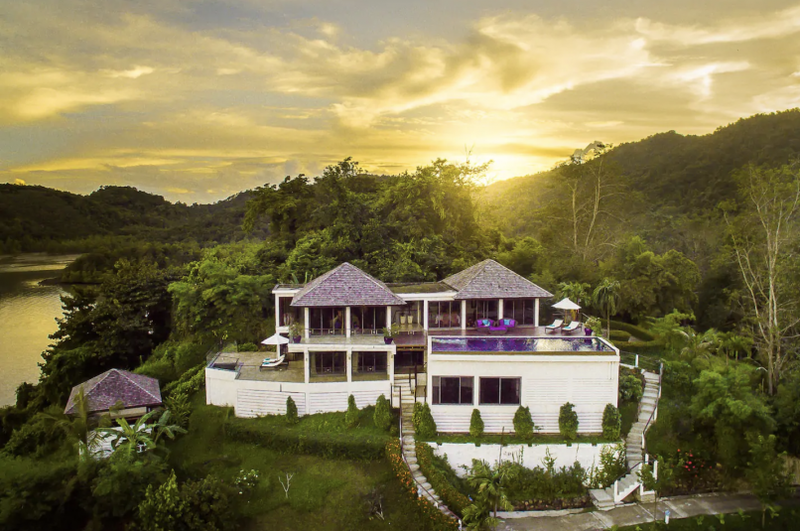 The property’s 15 acres of land is nestled against peaceful lush mountains and bordered by natural streams running through the back of the resort. Each of the 9 villas has their own private deck furnished with a day bed, hammock, BBQ grill and dining table. If you’re too lazy to cook, no worries! 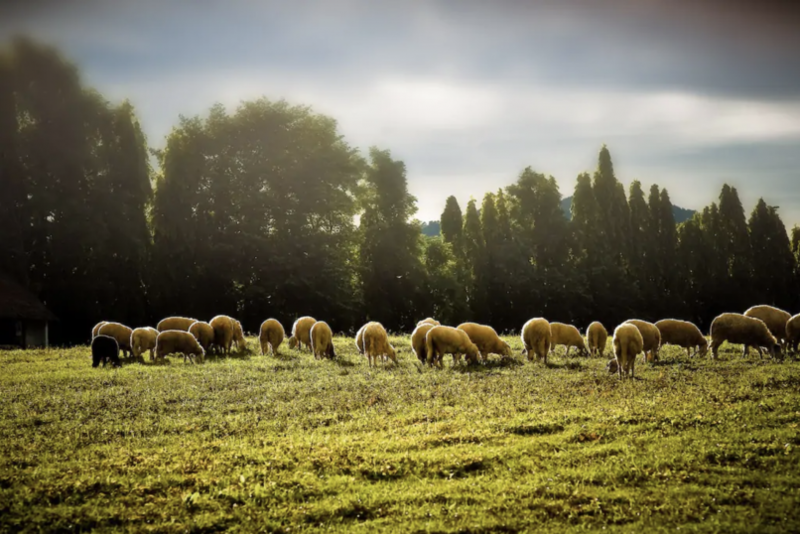 Head on over to the property’s Honey Scene Kitchen, which has the charm of an English country farm and serves up authentic European and tasty Thai fare. 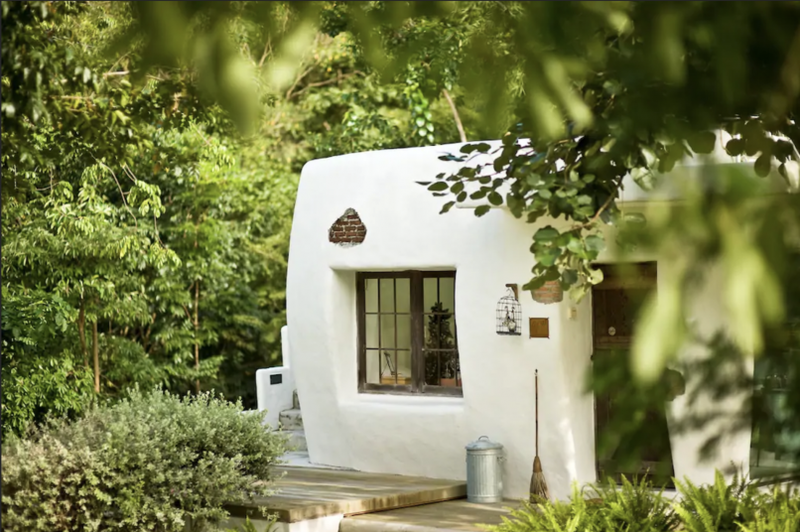 You’ll feel like you’re in a rustic barn in the middle of not nowhere, but an abundance of nature, something you probably didn’t expect to encounter in Thailand. People have got Phuket all wrong. It’s not just about the vast oceans of difference between the scary mafia-inspired nightlife and the gorgeous out-of-this-world properties that line the famous millionaire’s mile. Yes, Phuket is a place of extremes, but it is also a destination brimming with culture and traditions that are often overlooked. Enter Phuket Old Town, a place you’ve probably already heard about but not given much attention to! Lined with Sino-colonial mansions and intriguing architecture, Phuket Old Town is a sight for both locals and travellers as they revel in the opportunity to explore well-preserved shophouses, quaint cafes and museums, all by foot. The small-town folk here foster tight knit creative communities so there is a friendly atmosphere wherever you go, bringing out your inner explorer. Beach? You’ll be too busy wandering through all the galleries and print shops to bother. And the beautiful architecture along these roads will take you back to the charm of Thailand that existed a century ago. 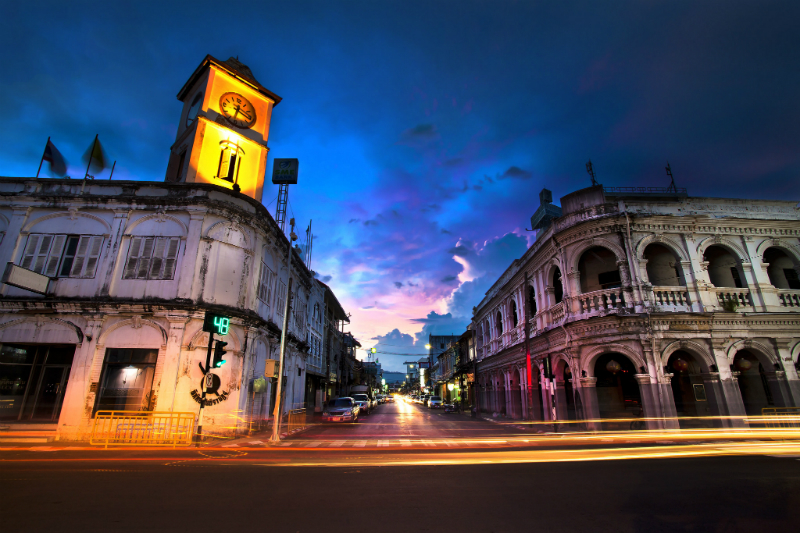 Although, just because you’re visiting Phuket Old Town doesn’t mean you need to stay there. No, no, no, no! We do recommend somewhere close to the beach and The Mangrove Panwa Phuket on Airbnb is ideal: it houses a myriad of gorgeous villas located in Khao-Khad village, in the Cape Panwa area of Phuket. It’s surrounded by lush green foliage and overlooks Chalong Bay. 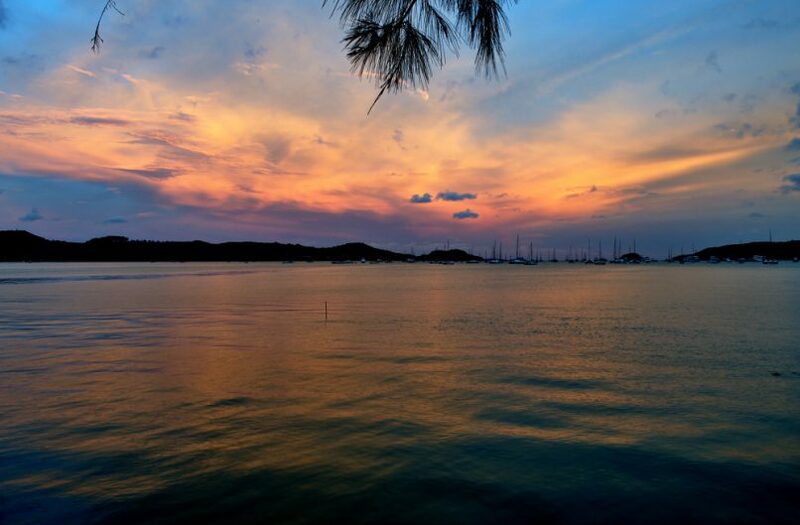 Because if you’re in Phuket, you may as well soak in the bay.